In economics, a currency that is globally traded and is expected to store stably and reliably the value is what is called hard currency or strong currency or safe-haven currency. What makes a currency to be considered a strong one are the fiscal and political conditions of the associated country, its purchasing power long-term stability along with the issuing central bank’s policy posture. At the opposite end, a currency which fluctuates erratically and depreciates against the other currencies on the market is considered to be a soft currency. This is usually caused by fiscal or political instability of the associated country. Most currencies can’t be integrated in a particular category: Soft or hard. Monetary policy has various theories regarding the status of currencies. Because policy and geopolitical events are so unxepected and hard to predict, it can’t be definitively stated that a currency is hard or soft. Currencies which proved to be the most resilient are the precious metals, of which physical gold has proved its outlasting over all the other paper fiat money forms or gold certificates, over history. The financial crisis of the late 2000s has brought along credit downgrades, quantitative easing which had as result the erosion of fiat money security, so none can be defined as hard currency. There were, however, various moments when some developed countries’ paper currencies were considered hard currencies and that include the Euro, the US Dollar, the Japanese yen, the Swiss franc, British pound and at some points the Australian dollar and the Canadian dollar. Because of the rapid change in the international situation, both economically and politically, some currencies which were once weak become strong and the other way around. Hard currencies are usually hold by countries with large trade surpluses and that includes China, although it is not a convertible currency. A way to measure the hardness of a currency is to measure the way the country’s foreign-exchange reserves favor it. The Bretton Woods System is responsible for the large presence of US Dollars in these reserves. Over most of its existence, the US Dollar has been seen as a strong currency. In 1971 the Nixon shock and then the growing trade and fiscal deficits of the United States fabled it, but otherwise most monetary systems of the world are tied to the USD, following the Bretton Woods System. This lead to countries being compelled to provide the foreign exchange reserves with dollars, along with denominating the commodities they owned in dollars when it came to foreign trading. 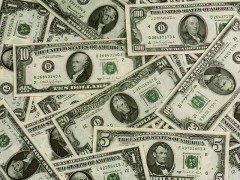 Dollars were also used domestically, so the currency’s value was buoyed. The financial crisis of the late 2000s made the Federal Reserve to ease the quantity of dollars and the US debt was downgraded by agencies of credit rating (the debt-ceiling crisis). Thus, countries started to purchase other currencies than the dollar for the foreign exchange reserves, the commodity markets started trading also in other currencies than the USD (the Iranian oil bourse, for example). The Chinese yuan resumed appreciation and in some applications the SDR was proposed as alternative to the USD by the IMF. All these and not only lead to the erosion of confidence in the United States Dollar. Although it has a short history, Euro was also considered to be a hard currency on most of the time since its emergence, but the confidence in Euro was also eroded by the sovereign debt crisis Europe is facing. There are many predictions of the currency’s demise. Another currency considered to be strong for a long time was the Swiss franc, known as CHF. This paper currency was the last one which stopped to be converted into gold. Those who sought hard currencies during the sovereign debt crisis in Europe, flew out of Euro straight into the CHF, which brought a rapid appreciation of the Swiss franc. As a result, in September 2011, The National Bank of Switzerland announced its intention to buy unlimited Euros in order to set the exchange rate to 1.20 CHF = 1 Euro, in order to protect the Swiss trade. So for the franc to match the rate, it had to precipitously fall against the Euro. In just a few minutes, the gold price in Swiss francs rose with 5%. Because of this, the Swiss franc was no longer considered a hard currency over the Euro.